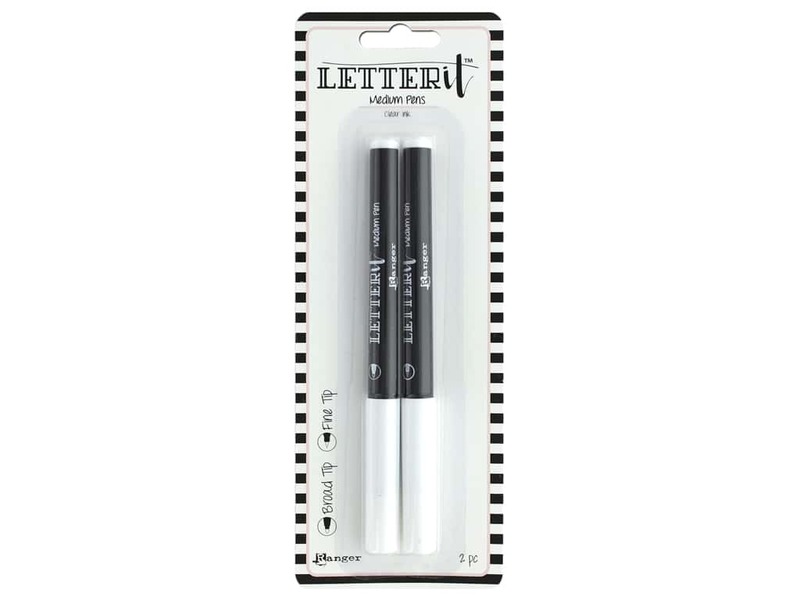 Description: Ranger Letter It Medium Pens contain a specially formulated clear ink that works with embossing and perfect pearl powders. The ink stays wet on paper long enough to allow working time to create your own sentiments and designs. Then simply add your choice of powder and heat using a heat tool to melt or set powder. Set #2 includes broad tip and fine tip. See more Ranger Letter It.